By Melissa Lennig on March 3, 2015 17 Comments. This content contains affiliate links. As an Amazon Associate I earn from qualifying purchases. A darling bunny family lives under our house. My boys enjoy watching them hop about in the yard, nibbling on greens and birdseed. My youngest has named them (but can he really tell which is which?). 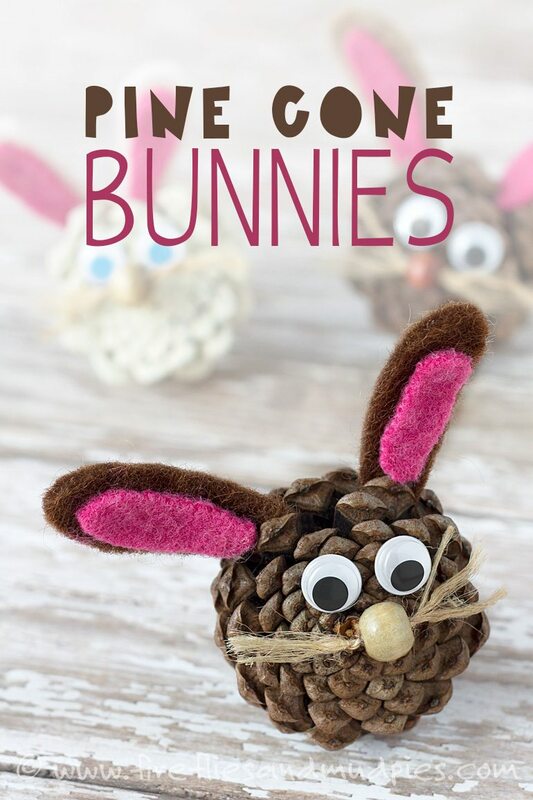 In honor of spring, Easter, and our all-season furry tenants, my kids and I crafted Pine Cone Bunnies. Of course we’re partial, but we think they’re too cute! 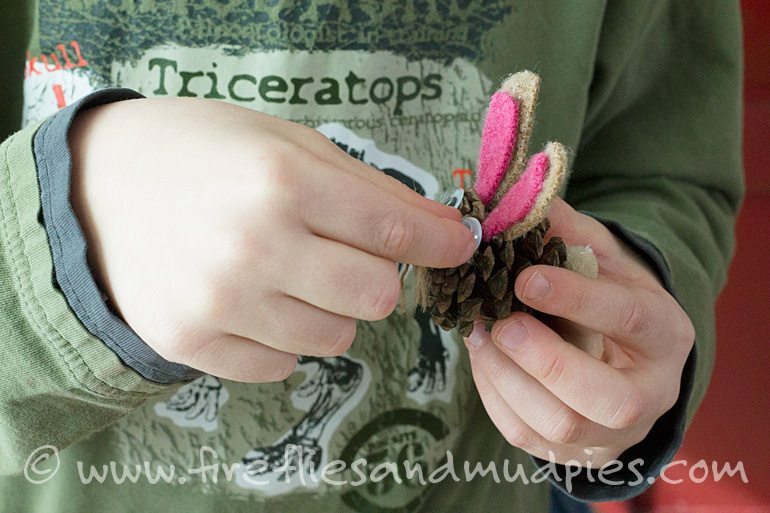 Pine cones have an amazing texture, are free, and can be adapted for many seasonal crafts. My oldest son painted one of his pine cones white and used blue googly eyes. I think his bunny looks just like Peter Cottontail! 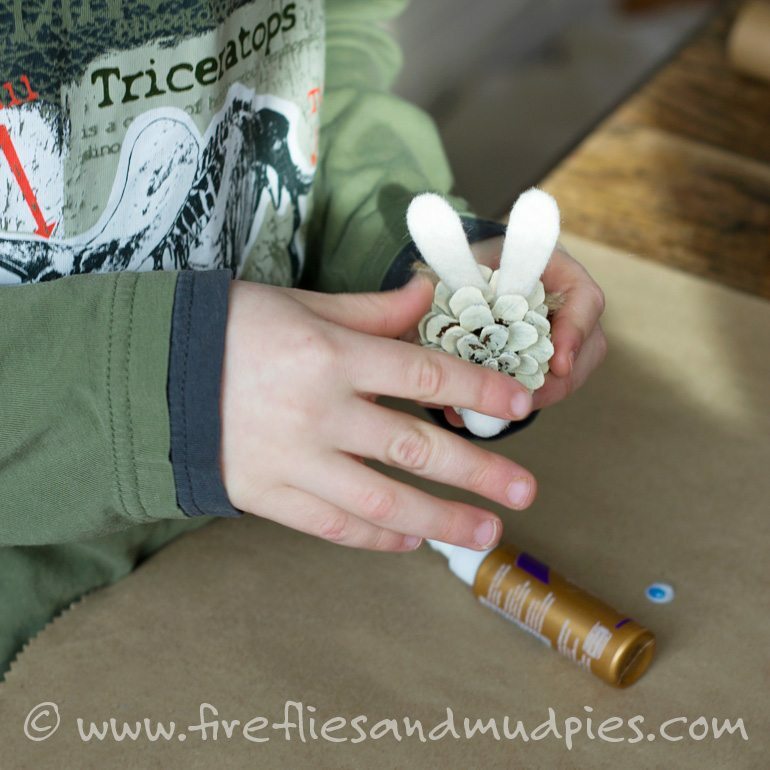 Through this craft, kids will connect with nature, create art, and develop fine-motor skills. My youngest son enjoys incorporating his bunnies into imaginative play. (One poor bunny is currently a prisoner in the Bat Cave jail!) My oldest son wrapped twine around his so he could hang it on the Easter Egg Tree. Put together little ears with the felt and glue. My boys had a difficult time cutting through our thick wool felt, so I did this part. Allow the ears to dry completely. Note: If you don’t have felt, construction paper will work just fine! 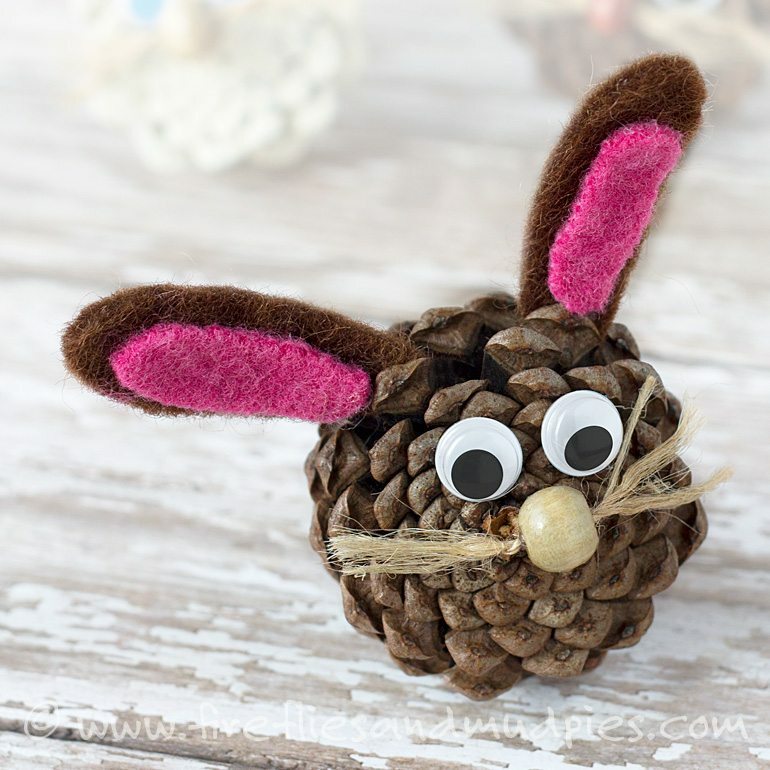 Glue the googly eyes, ears, nose, and whiskers onto the pine cone. 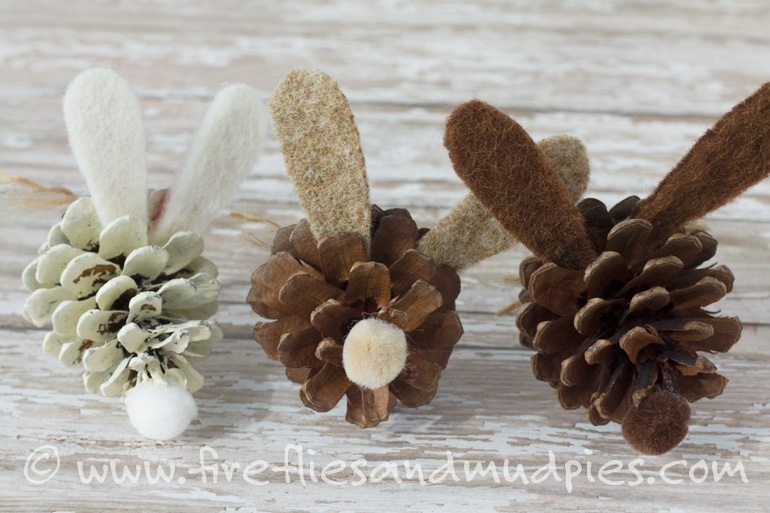 Glue a pompom onto the back of the pine cone for a little bunny tail! Thank you to Craft Project Ideas for generously donating the googly eyes and wooden beads for this adorable project!